I need to see a picture of it. How many times have you said this when attempting to learn something new? It is widely known that there are different types of learners including auditory and kinesthetic – but the most prevalent type is visual. That being said, what are some innovative ways that visual learners can best take in new information through their dominant modality of learning? The internet is, of course, an endless resource of visuals. As soon as kids know how to “Google”, they know how to use “Google Images.” Images can enhance written materials and extend understanding in a new way. When researching the “Star-nosed mole,” for instance, a photo of this odd looking creature certainly clarifies its interesting name. 3D models can also explain things in new ways. There are many fantastic learning kits on the market that provide models of everything from anatomical features to various species of insects and animals. Students can also show their understanding by creating their own 3D models, by sculpting, using recyclable materials or creating dioramas. 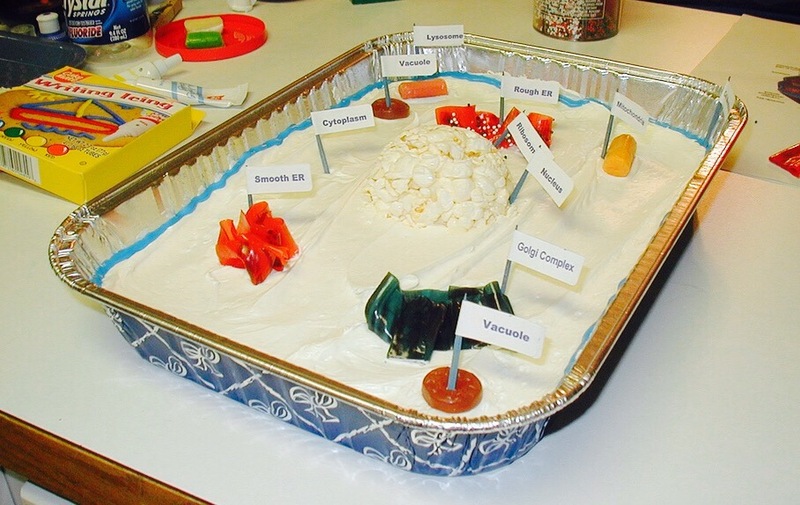 Make an animal cell with sweets! Object-based learning is a great way to captivate a visual learner’s curiousity. Showing an interesting object, like an artifact from another country or from the animal word can spark a series of questions leading to exciting inquiry-based learning experiences. Just as images can enhance understanding, illustrations can enhance expression. 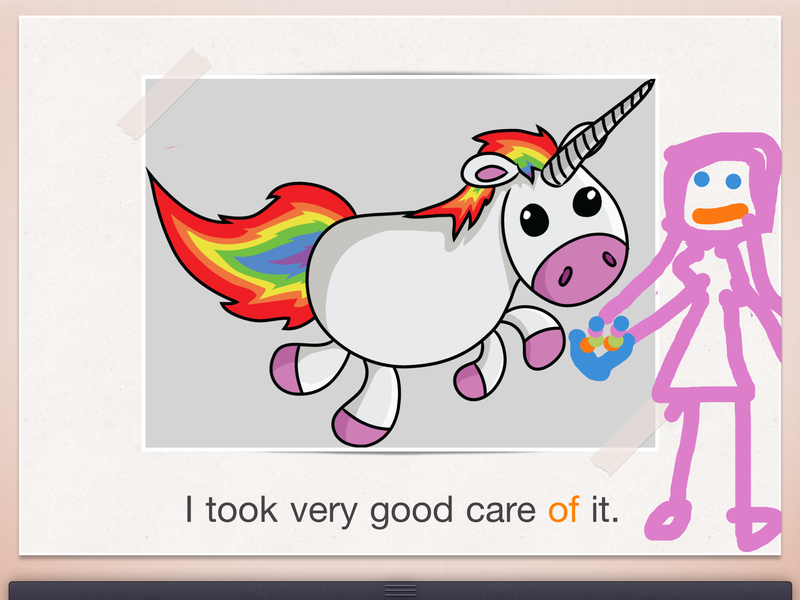 There are many apps and software programs through which illustrations can be created, and a couple that appeal to elementary-aged children are Story Creator and Toontastic. 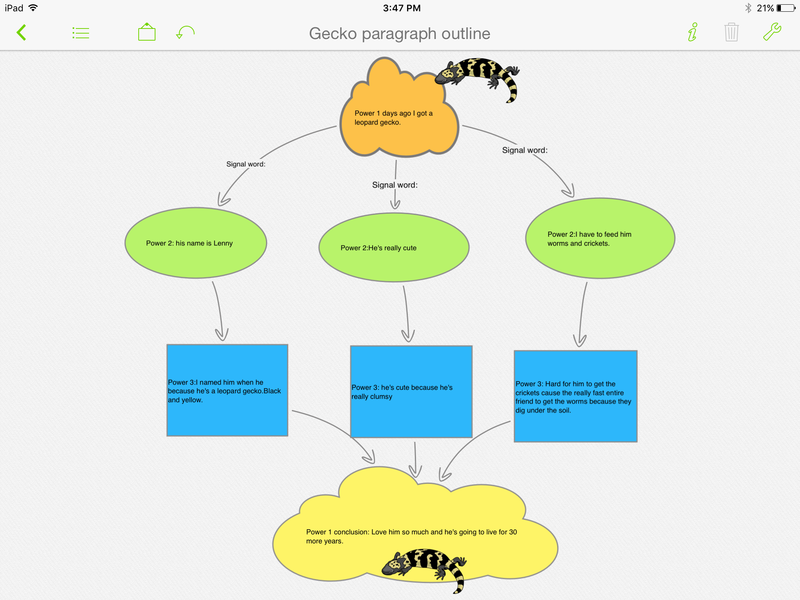 Using the iPad app, Story Creator, to write! Visual learners can best organize their thoughts through graphic organizers. “Visual brainstorming,” or planning out writing activities by visually mapping out thoughts, is extremely helpful. One app designed for this is Inspiration. Checklists are also very helpful along the planning process, reminding students of the multitude of steps in a writing assignment or project. Visual learning can also cross over to kinesthetic learning when the mind-body connection enhances understanding. 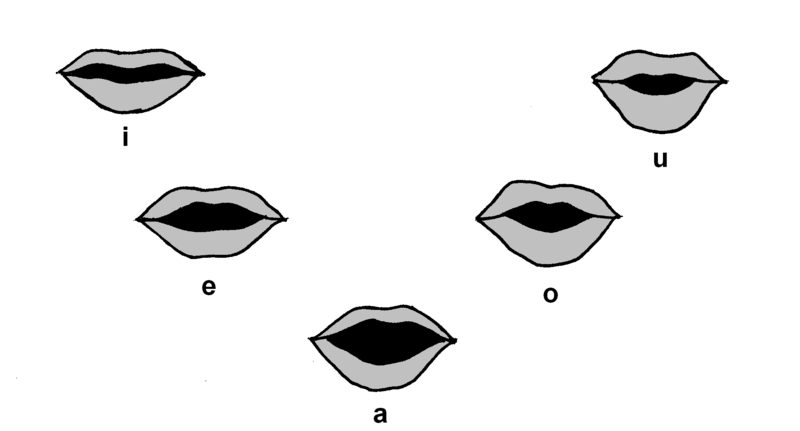 For instance, students can learn the differences between short vowel sounds by looking in a mirror at the shapes their mouth makes when forming short a, e, i, o and u. The possibilities are endless for learning and expressing knowledge visually!